Being only a 3.5hr drive from home, it was great to not camp at Tamworth before the race. The trip started with Pure Edge and rice bubbles breakfast before the 3.5hr trip. With the temp still sitting around 5 deg Celsius when we arrived Sunday morning I was glad to see the temp hit double digits before the race started at 9.30am. Looking at the start list I knew it was going to be a tough race. 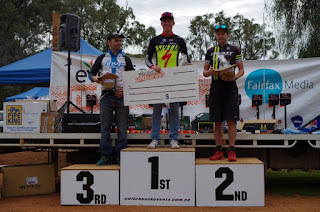 With Ed Mcdonald up from Canberra, Cam Ivory, Trenton Day and Andrew Lloyd up from Newcastle and local NRS rider Sam Spoke it was hard to make a prediction as to how the race would go. With Cam still training as if racing at the Olympic games, he was always going to be the favourite. I managed to have a good start this race sliding into the first single track in 5th place. During the 1st lap Cam and Sam got a little lead and it wasn't until part way through the second lap that I managed to catch them again. At the end of this lap Cam put in a little attack and by the time I got past Sam, he had a pretty good lead. I was sitting around 30 second behind Cam for the next couple of laps. On the 5th lap I caught back up to Cam. In the last 3 kms of this same lap my chain dropped 3 times even with a chain guide. I recalled hearing this meant the front chain ring was worn and after five 24hr races it is no real surprise. My new bike for 2016 had made it way to the event courtesy of Jason Moxham and Fizo Cycling however I hadn't planned on taking it for its first ride at this event. Starting my 6th lap on this brand new bike, the seat started to slip down. I managed to borrow Allen keys through the lap but it just wouldn't stay up. I swapped the seat post from my old bike and took some air out of the front forks as Ed caught back up. Now being 4.5 mins down on first place it was really just a matter of keeping hold of the second position. Now without a Garmin or watch in view I continued the race. 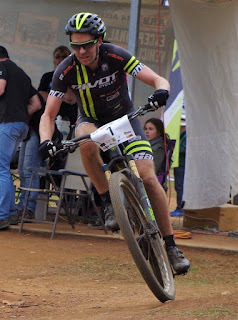 It took a few laps before I felt like I was racing as I learnt to ride the new bike. The new bike had riser bars and the stem was quite high compared to what I was used to. This meant learning to corner all over again! I got laps splits for the next few laps and my gap went from 4.5mins to 3.5 to 2.5 to 2.0mins however I was pretty stoked to get within a minute of such a highly talented and in-form rider considering my lack of training and run related injuries! Thanks to Ian for also passing bottles and helping me change my race plate and bike mid event. Thanks to Jet Black Products and Stand Notubes for supporting me and this event. The new bike was great and Notubes have really come up with something special with their new Valour wheelset. Thanks to the other Jet Black Products that keep my bikes and body going, the WTB Nine Line and Nano both worked well on this course, I felt confident railing the corners. I can't actually pick the tyre I preferred. Jet Black are now also doing GU and their Roctane Gels helped me feel just as strong at the finish of the race as start. A big thanks goes out to the Tamworth Mountain Bike Club. I really had a great day out. This type of course suits me, no really sustained climbs, lots of pinchy technical sections and heaps of fun whippy burms. I'm keen to come back again next year. 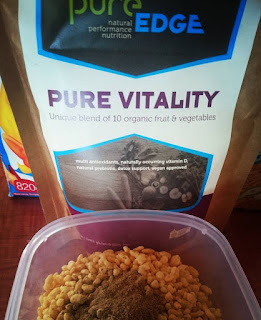 Pure Edge are helping me attend the Evocities series and their pre-race food has been a great way to load up without feeling bloated. Such races are soo full of excitement and have so much to do with them. I use https://esportbetweb.com/ whenever I have to attend such races so that I can bet safely on the player I like.